The date of November 26, 2016 remains in the memory of the Yira of the Ugandan District of Kasese as a sad memory. This is the day Ugandan government police burst onto the Rwenzururu royal palace in Kasese. At least 134 people were massacred. The excessive use of force on this occasion is only a reflection of the degree of intoxication experienced by the Kampala authorities. We witnessed a mad operation of rage, ordered by power against a community slandered and manipulated unconsciously. What is the big responsibility of Kinshasa? 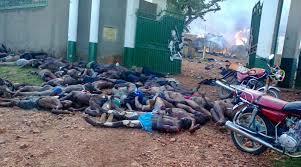 The regime in power in the DRC had just launched the Beni massacres. However, after two years of systematic killings, the Yira Nande community targeted by this genocide has proved irreducible. Kinshasa, which is in control of this tragedy, said it was necessary to find a correspondent for its strategy in Uganda, to take the Yira people from one place to another, in Uganda as well as in the DRC. Then Joseph Kabila had the financial means to infiltrate Kyanganda Yira, the community’s base, by creating corrupt Mai-May and Ugandan police and security. But the main goal was to come up with a scenario that would excite the Ugandan government to go after the Yira people harshly, without distinction between the DRC’s Nande and the Konzo of Uganda. At the level of the Yira community, personalities of high esteem, including notables such as the Mwami Kalemire III and university professors whose names we will keep for reasons of security, were sensitized to approach the Mwami Mumbere Rwenzururu to engineer the creation of the Rwenzururu Republic. 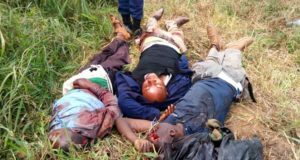 The Kabila regime allocated large mayen to recruit fighters among May-May opportunists, as in the group called the Forces Ecumenical for the Liberation of Congo, FOLC acronym, Commander KAVA wa SELI. The provincial governor of North Kivu, Julien Paluku is not innocent either in this case, he channeled the instructions of the Congolese president and the means that he put at the disposal of this plan. It was in this adventure that Kasese’s Mwami Mumbere had the courage to publish the model of what would be the currency of the future Rwenzururu Republic. He was in fact caught by the illusion of becoming the president of a state that would extend from the Ugandan districts of Kasese, Budibugyo and Kabarole to the Congolese territories of Beni-Lubero. This is only an illusion, because the Yira community of Congo has flatly rejected this plan, convinced that it is part of a plot highly designed by Joseph Kabila’s laboratory to give a new boost to the plan. 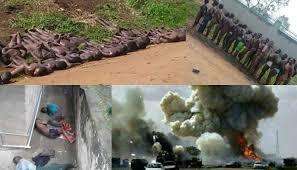 extermination of the Yira people in the DRC and Uganda. The leaders of Kyaghanda who were awake and who revealed the secret of this criminal plan were doomed to assassination. Such was the case of the Reverend Father Vincent Machozi. Many other leaders of the community at different levels, in civil society, the political class, the student community, even the ecclesiastics, have similarly been the targets of the terrorist agents of the Congolese government. Because of them, Joseph Kabila calls Kyaghanda stubborn and traitor. At the same time, Joseph Kabila infiltrated the Ugandan security services, in this case the police and intelligence, by agents who had to converge the reports in such a way as to excite the Ugandan president against the Yira people of Uganda. the Konzo appearing as the extension of the same Nande community of the DRC in Uganda, on the pretext that they are in cahoots with a project of the erection of an autonomous republic against the Kampala regime. The former Ugandan Police Inspector General, General Kalle Kaihura, along with several other police officers, collaborated in the coup on the motivation of the Congolese President who wanted to convince his Ugandan counterpart that Kasese Yira-Konzo are dangerous. for his power as much as the Nande would be for himself in the DRC. This is the game that has been skilfully led by the Congolese Joker: he is heading the Mwami Mumbere on one side, providing him with the means he needs for this purpose, while exciting the Ugandan president to get to work quickly, it is to spray those he would have liked to decimate himself if a cross-border intervention did not have preconditions. But this task had to be carried out even more properly by agents who had been recruited by Ugandan forces. Hence, this unexpected cruelty of forces that immediately turned a law enforcement operation into a carnage, when we remember the fires, tortures and humiliations of that day that did not spare even the women and children; the survivors were chained and dragged publicly naked. Joseph Kabila thus found a valuable opportunity to dump doubly on Yoweri Museveni. First, he dragged him to dirty his hands in the massacres that he, Kabila, planned to weaken the Yira strain in the region. As a result, this Kasese event marked a very negative focus on the Ugandan President’s case and his regime in the Human Rights Watch registry. The party was non-concealable in the camp of Joseph Kabila who proclaimed loudly “we got it! “. Indeed, the Congolese president is still looking for opportunities to avenge a godfather who decided to release him just when he dreamed of becoming the “king” of Congo, like the Marshal of the old Zaire . It is only later that Museveni will discover that Kabila had used his own surroundings to tarnish his image in front of the world. That is why General Kalle Kaihura and other accomplices will be punished harshly. 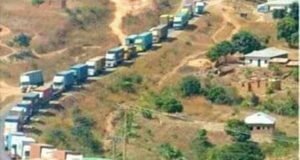 In fact, they were the backbone of the gestation of the nucleus of a subversive group around the Mwami Mumbere, making Kasese the transit route for the M23 terrorists and Rwandan allies to set up the desolation in Beni and nearby Kasese. by falsely using the name of the Ugandan rebels of the Alliance of Democratic Forces, ADF in acronym. It remains to be seen how Kampala will work to repair the damage of such a lack of caution to his people of Kasese, to the Yira people of Uganda and Congo as well as to the world. For he has unconsciously executed the order of a devil who raised his horns in Kinshasa, and who would perpetuate his power by creating chaos in the subregion of the Great Lakes. Suivant : Acuerdos de Ginebra: El secreto oculto tras el retiro de la firma de la UDPS y la UNC.